Destination Top End was originally written for Kimberley visitors who travel from/to Darwin. It is the second volume in the popular "Destination" adventure guides e-book series. 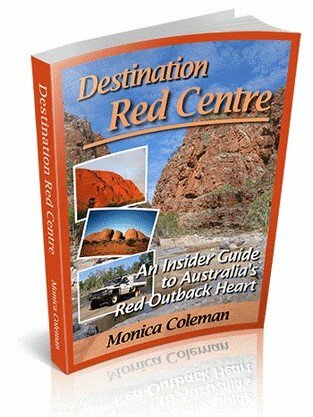 My readers loved my first guide, Destination Kimberley, so much, they talked me into following up with a guide for the Northern Territory. NEW! Now expanded with additional FREE bonus chapters, covering the drive south from Katherine as far as Threeways, including Mataranka region, East Arnhem Land, Roper and Carpentaria highways. And with that Destination Top End covers the Northern Territory from Darwin west to the border of Western Australia, south as far as Threeways Roadhouse, and east all the way into Arnhem Land and along the Savannah Way to the Queensland border. "Birgit, You have done it again. Your latest guide Destination Top End is fantastic! Maps, little known places, directions, points of interest and common sense advice all written in plain language. It is a must for anyone travelling from Darwin to Kakadu and beyond. Judy and I have already packed it for our trip in July. "We purchased both of your ebooks and are studying them carefully. My husband is busy making an itinerary... he likes that structure! THANKS for having so many great resources for your area. Our trip has shifted from something that would be just enjoyable to a great adventure." Destination Guide readers agree: no other guide books on the market offer anywhere near the same detail and accuracy. And Destination Top End offers you exactly the same comprehensive, quality insider information. 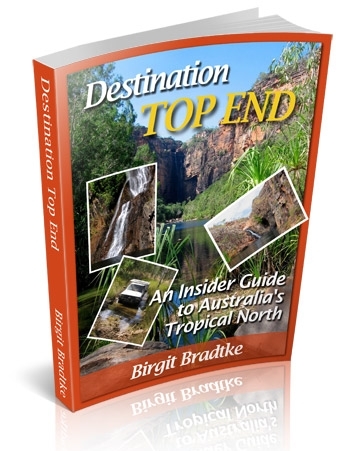 Destination Top End is my second e-guide book. "We found Kakadu a bit over rated. Jim Jim falls we skipped as we were told it was almost dry. [...] We found Litchfield too civilized, too touristic. The trouble also was for us that after all the exceptional things we saw out west and on the Gibb River Road nothing could compete." --Excerpts from a reader submission and follow up comment. The Northern Territory is different from the Kimberley. Places like Kakadu, Litchfield and Katherine Gorge have been made so accessible, it's easy to breeze through and miss the best bits. The other problem is that those places get so much marketing exposure, people don't realise there are many other places worth seeing. In the Kimberley you can follow the beaten path, and even if you never leave it, you still find many exceptional places and awe inspiring remote wilderness. In the Northern Territory you definitely have to get off the beaten path. It only takes some time and/or the right insider knowledge. I can't turn the NT into a remote wilderness like the Kimberley, but I can certainly make sure that you see the very best of it! The reason is simple: no other guide book author actually lives here, right in the middle of things. No other author can spend so much time, every year, camping and hiking in the region they write about. I live in Kununurra, and that means I live on the border between the Kimberley and the Northern Territory. The Kimberley is to the west of me, and the Top End to the east. This is my stomping ground and my backyard and it has been for over 18 years. Much of what I share with you, only a local can tell you about. "I've got a copy (my edition is 194 pages) and am happily working my way through it. Although I've been going to the Kimberley for the past 30 years, I've still found new information. Highly recommended." With Destination Top End you get the same insider view and secret tips that my readers love and appreciate about Destination Kimberley. It offers the most comprehensive and detailed information about the region that you will find in any guide. "Your notes on the journey were absolutely brilliant - I printed up the "nitty-gritty" section for easy reference while we were driving and I still treasure the dog-eared red-dust stained sheets. As we are keen walkers, your detailed information re walks into the gorges was particularly appreciated. Thanks again for your brilliant ebook which took all the stress out of planning a wonderful holiday. It would be crazy to go there without your incredibly valuable information. 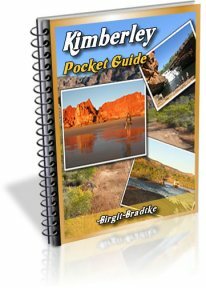 "I purchased your Kimberley guide earlier this year. I must say I did think twice about getting it as I have travelled the region in my Troopie four times previously. I was wrong, I found your guide fantastic and so much help to find the beautiful spots you mention. The guide (printed out a copy) sat between the two seats and was used continually." Destination Top End has 201 information packed A4 pages. It has less introductory information but over 30 more pages of travel information than Destination Kimberley. Destination Top End also contains many maps. 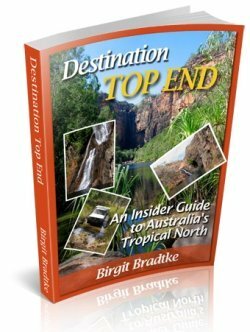 Destination Top End is available as an immediately downloadable PDF file only and is covered by a 100% unconditional 12-month money-back guarantee. Feel free to download it to have a look, and if you don't like it, just let me know. If the Destination Top End e-book is not for you just say so and you'll receive a quick and courteous refund! No questions asked. First you will be taken to a shopping cart page where you need to enter your country of residence and postal code. Even though identified as shipping information, I DO NOT SHIP ANYTHING. THIS IS AN ELECTRONIC PRODUCT! I need the location information for GST/VAT tax purposes. You can pay via PayPal or credit card. (Credit cards are also processed through PayPal.) Upon completion of payment you are directed to a secure download page where you can download your guides. If this does not happen automatically, just click the orange button that says "Complete your purchase". Don't worry if you forget to. You will also receive an email with the download link. If anything goes wrong, if you have any trouble, just contact me and I will help you with it. PS. : I am confident that this e-book will be a huge help to you, but should you really disagree, then I will refund you straight way. That's right. Your satisfaction is guaranteed. If at any time within a year from buying this e-book you decide that you made a mistake, that the guide is not what you expected, then you just email me and I return your money instantly, no questions asked.